I got this recipe from Pam at For the Love of Cooking. I made mine into a casserole though. 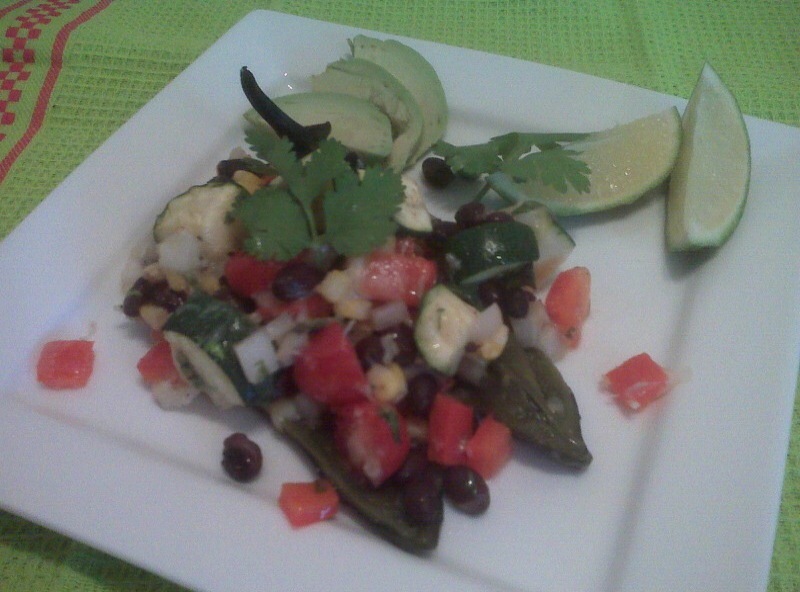 They are filled with all sorts of healthy veggies and Mexican cheeses. 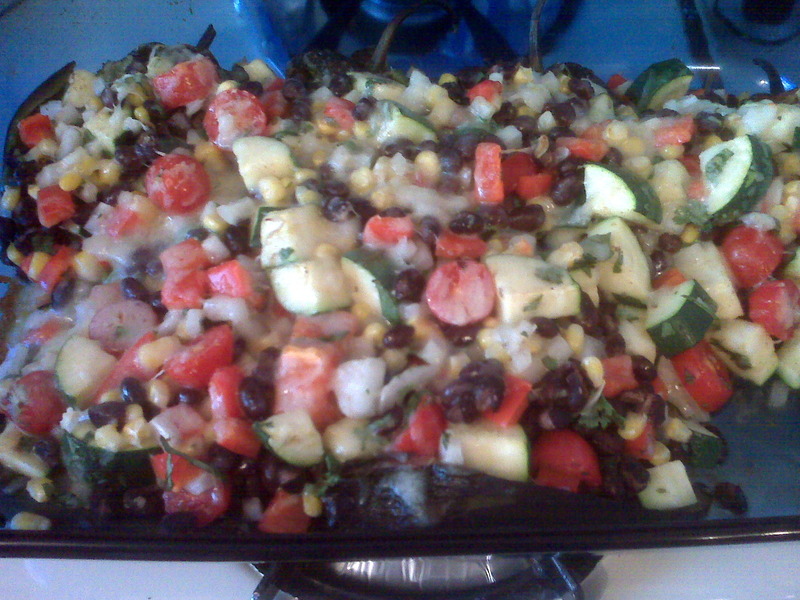 Combine the black beans, bell pepper, onion, cilantro, zucchini, corn, tomatoes, all but 2 tbsp of cojita cheese, oregano, cumin, sea salt and fresh cracked pepper, to taste. Mix all ingredients thoroughly. Clean the poblano peppers and carefully slit them down the center (be careful not to go all the way through the pepper). Gently remove the seeds from the inside of the pepper. Line a baking sheet with tin foil then place the pepper on top. Broil until peppers are blackened on all sides. Transfer the peppers to a large bowl, cover with plastic wrap, and let cool for 10 minutes. Once the peppers are cool enough to handle, remove the blackened skin VERY CAREFULLY. Preheat the oven to 350 degrees. Coat a glass Pyrex dish with olive oil cooking spray. Place the roasted peppers in the dish. Carefully stuff each pepper with the black bean mixture. Top each pepper with the remaining cheese. Place in the oven and bake uncovered for 15 minutes or until the chicken is warmed through and the cheese is melted. Serve with guacamole and fresh salsa. Wow, this screams healthy. Looks delicious Sandi. I know I would enjoy this dish. Nice! I love the idea of making it into a casserole. It looks tasty and filling. Thanks for the shout out and link back to my site.